Groovin mens fedora, Vintage blazer, belt & black crochet tunic, black express tights, Chelsea Crew oxfords, MAC lipstick in media & Marc by Marc vintage timepiece. Shooting in the snow is extremely difficult. I am so thankful that this time I didn't have to brave the cold, but instead I had a beautiful model, and good friend Shani do it for me. Besides having the most gorgeous natural disco inspired curls, Shani also had so many cool pieces in her closet, most of which used to be worn by her Mom. I hope to shoot her again, because we didn't get to try as many looks as we had hoped. 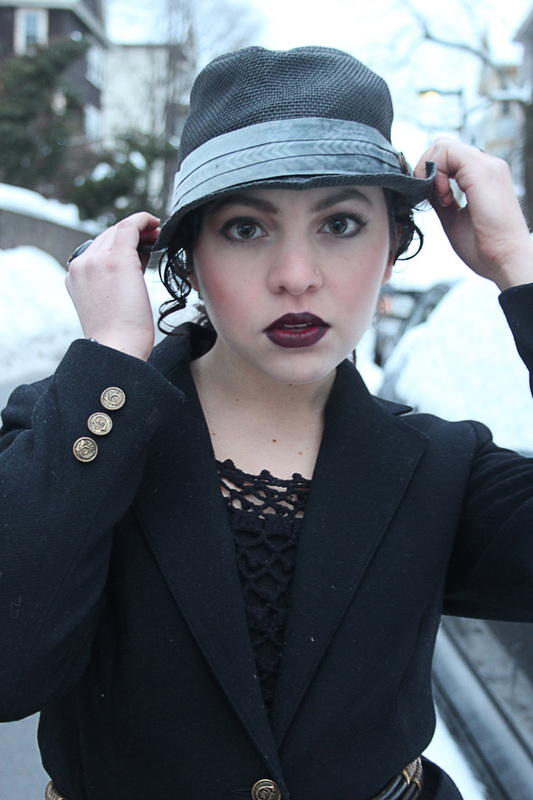 For this shoot, I really wanted to juxtapose black against white.. and use the snow to my advantage for once. I hope you all enjoy the shots, there are definitely more to come.